Ever heard the expression “go easy on yourself”? There is growing evidence that this age-old principle has very real wellbeing benefits. Specifically, it’s known as self-compassion and there are helpful tools we can apply to nurture and enhance this. Self-compassion is predictive of mental health. For example, several studies have demonstrated that higher levels of self-compassion lead to lower levels of depression, anxiety, neuroticism and better overall psychological health in the long run.2 From a positive psychology perspective, higher self-compassion is also predictive of higher levels of life satisfaction and social connectedness. 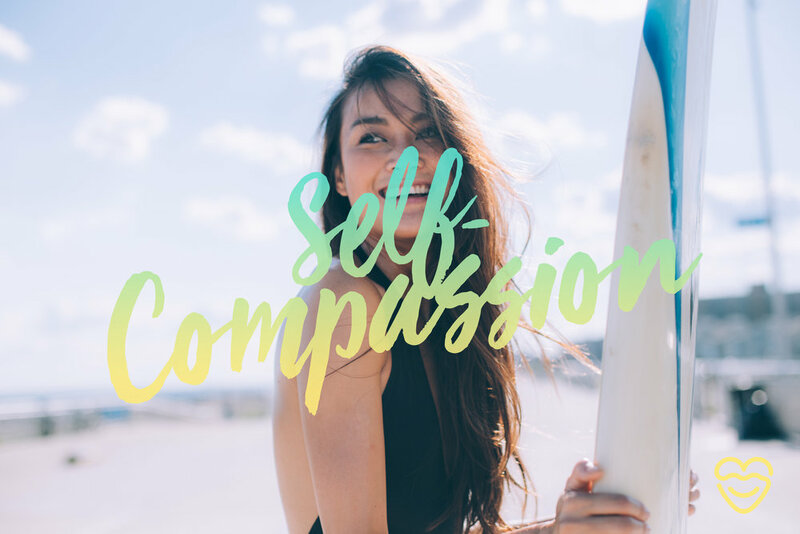 As the scientific literature supporting the beneficial nature of self-compassion expands, psychologists are becoming increasingly interested in ways to enhance self-compassion. As our understanding into the importance of self-compassion increases, psychologists have begun to investigate how it can be enhanced. To grow our self-compassion, we must be able to find time each week to dedicate just for ourselves where we can be mindful and reflective. There are three areas of self-compassion that we can develop, they are kindness, a sense of common humanity and mindfulness. An understanding of each is the first step to becoming more self-compassionate. Increasing self-kindness5 doesn’t come naturally to all of us. We can all be our own harshest critic. Being kind to yourself means that you can show yourself warmth and understanding when you fall short of expectations. How many times have you had a mistake and thought “I am stupid”, “I can’t believe I did that”, “I am so ashamed”. Would you say that to someone around you who made the same mistake? When we are kind to ourselves we find ways to nurture and ease ourselves when things don’t go our way. No human is perfect. We all make mistakes, have shortcomings and at times don’t live up to expectations. When we recognise that others too have struggles, we are building our sense of common humanity. This stops us from falling into the me trap (“why me?”) Bad things only happen to me. Oh woe is me! Being 'me-centric' can lead to a sense of isolation and loneliness. However, if we realise that our struggles are much the same as many others, it fosters a more connected mindset which is inclusive of others. We all experience painful thoughts and emotions. Yet we’re not always mindful of the experience. In fact, often when we’re experiencing something tough we become 'mindless' by suppressing or avoiding the experience.6 Another response to negative emotion is to immediately direct our attention to ‘solving the problem’ and forget the importance of showing ourselves some comfort. To be self-compassionate we must therefore be mindful. When we’re mindful we don’t dwell specifically on our negative emotions or reactions. Rather we take the time to examine how we’re feeling and our reactions to events. What are the specific emotions you feel? When we become mindful of our thoughts and feelings we learn to create space for ourselves which in turn can offer us greater perspective and clarity. Leary, M. R., Tate, E. B., Adams, C. E., Allen, A. B., & Hancock, J. (2007). Self-compassion and reactions to unpleasant self-relevant events: The implications of treating oneself kindly. Journal of Personality and Social Psychology, 92(5), 887–904.